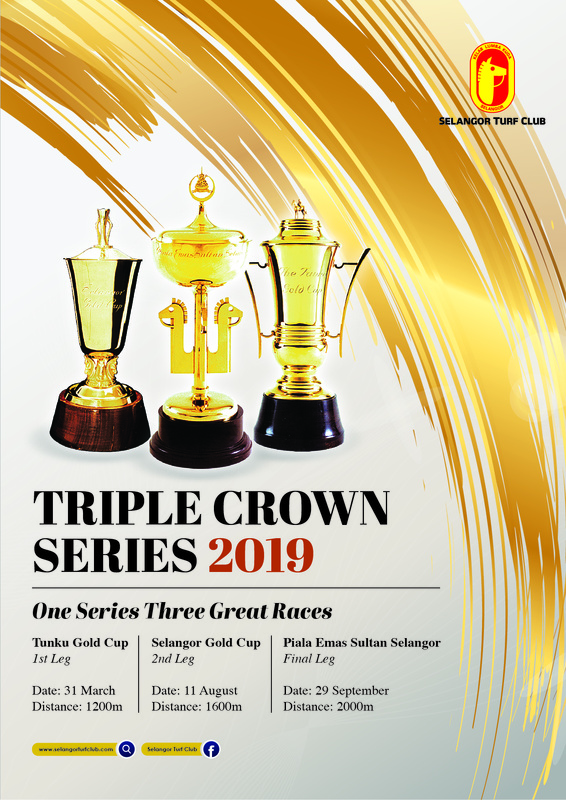 The Selangor Turf Club will be racing on 30th and 31st March and will be hosting the running of the first leg of its Triple Crown Series, the Tunku Gold Cup on Sunday, 31 March 2019. The race is open to 3 Years Olds and above with rating band 71 and above. The Triple Crown Series consists of the three Classic Group 1 races of the Selangor Turf Club. The second leg, the Selangor Gold Cup will be held on August 11. The Tunku Gold Cup and Selangor Gold Cup offers stakes of RM200,000. The final leg is the Piala Emas Sultan Selangor scheduled to run on September 29, offering prize money of RM300,000. Appropriately themed “where sprinters meet stayers”, the series open for three-year-olds with rating band 71 and above will be run over three varying distances of 1200 metres for the Tunku Gold Cup race, 1600 metres for the Selangor Gold Cup race and finally the 2000 metres Piala Emas Sultan Selangor race. On the same day, the Club will stage the running of two sponsored races, the Sungai Besi Autoworld Cup and the Aintree Park Challenge Cup. Sungai Besi Autoworld Sdn Bhd, a used car management company in Klang Valley offers the largest selection of cars. They provide super deals with awesome price at their base at the Sungai Besi racecourse. The Sungai Besi Autoworld Cup, offering prize money of RM55,000 is open to horses with rating band 57and above run over a distance of 1600 meters. The Aintree Park Challenge Cup is sponsored by Aintree Park Thoroughbreds located in Melbourne, Australia. Aintree Park offers Complete Broodmare Care, Yearling and Spelling Agistment, Complete Foal Care and Food & Nutrition. Log on to www.aintreepark.au for more information. The race offers price money of RM60,000 and run over a distance of 1400 metres.